Hello world. 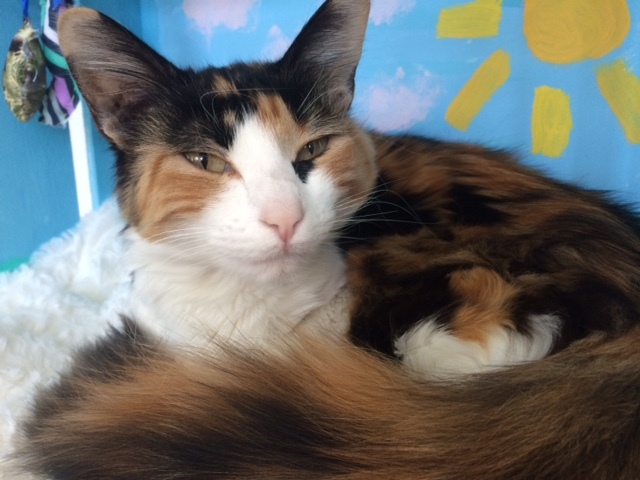 I’m Sopha, a beautiful, medium haired, 6 month old calico kitty. I love lounging around in the sunshine in the Pixie Project cattery. I get along with the other kitties here, I love when kids visit me and give me lots of attention and as long as your doggie is cool with me,I’m happy to share my space. I’m a super sweetie snuggle monster that just wants to keep your lap warm while you read a book. Do you have a space on your sofa for this Sopha? Fill out an application today and come visit me at Pixie Project. I come to you fixed, microchipped and vaccinated with an adoption fee of $100.